I’ll Forever Love You because you’re so F.L.Y. If you’re looking for a landing or companion…I am yo guy. If I gave you my last…that’d be a fitting name. I know you’ve heard it all before, but I’m not just spitting game. Come and share my home. 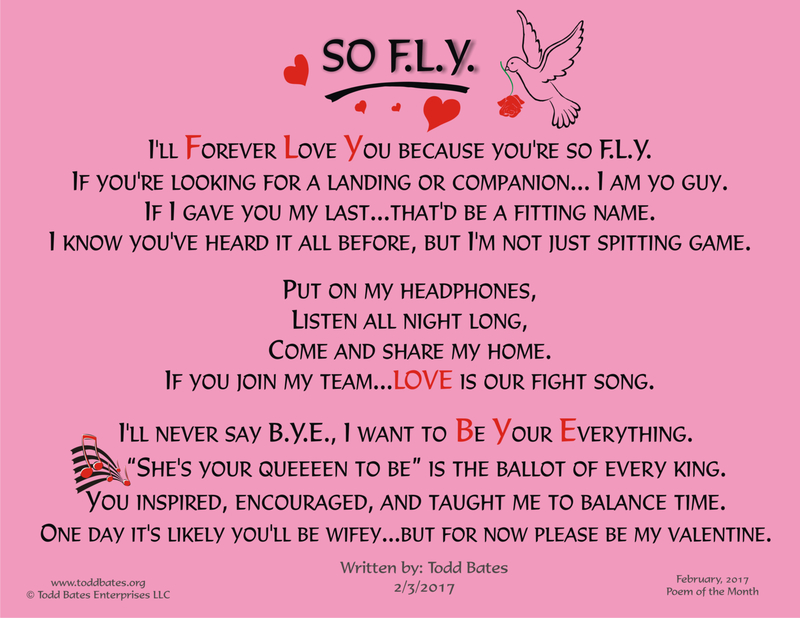 If you join my team…LOVE is our fight song. 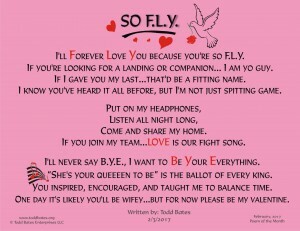 I’ll never say B.Y.E., I want to Be Your Everything. “She’s your queeeen to be” is the ballot of every king. You inspired, encouraged, and taught me to balance time. One day it’s likely you’ll be wifey…but for now please be my valentine. snap..snap..snap are my fingers in the air!! !